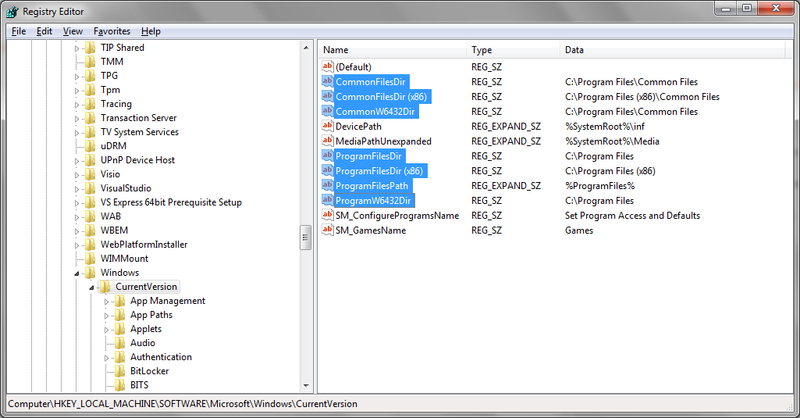 Every time you install a software on Windows, you must have noticed that by default they are all installed to "Program Files" folder of your root directory. Make sure you backup your registry before making any changes to it. Navigate to following folder in registry - HKEY_LOCAL_MACHINE\SOFTWARE\Microsoft\Windows\CurrentVersion. Look for the entry "ProgramFilesDir" in panel on right side. Change its value from "C:\Program Files" to D:\Installation (or whatever else you wish it to be). Press PF5 for refreshing the registry updates and restart your machine for change to take effect. So now every time you install new software they would get installed to this new folder of your choice.